The Pace Gallery, Beijing is pleased to present Sui Jianguo’s solo exhibition displaying 30 works the artist has created since 1987. Sui is one of the most important Chinese contemporary artists and is widely considered, as critic Huang Zhuan states, the “Chinese sculptor who took the Conceptual route the earliest and the farthest.” This is the first solo exhibition for Sui Jianguo since joining The Pace Gallery, Beijing, bringing together representative works from the artist’s various stylistic periods. The exhibition will run from March 3rd through April 14th, 2012. 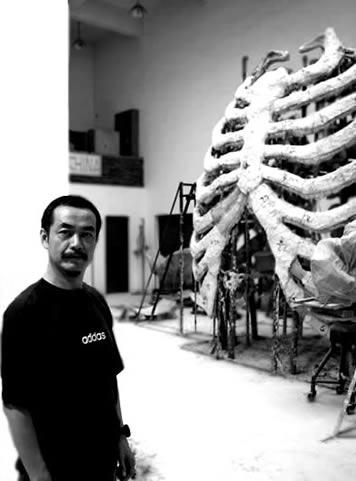 In 1987, Sui Jianguo began to focus on the conceptual and symbolic aspects of materials and mediums. Earth Force, a representative work from this artistic phase, uses the mutual intervention between mediums to present a complex relationship of force and resistance. Earth Force, which took two years to produce, is an installation consisting of 20 boulders each weighing roughly 100 kilograms. Each stone is entangled in a web of ribbed steel, creating resistance to the force between these two types of rigidity. First presented in Beijing in 1992, this work instantly became a striking icon of modern Chinese sculpture. Beginning in 1997, Sui shifted towards an exploration of visual and symbolic images of political significance. 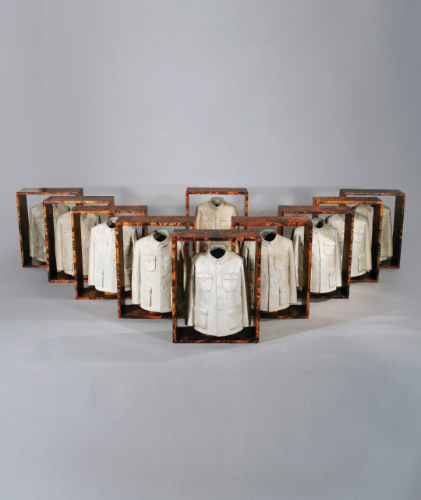 The “Mao jacket” became the defining image of this phase in Sui Jianguo’s art. Known in China as the Sun Yatsen Suit, the Mao jacket was at first a symbol of the cultural avant-garde. It entered into the mainstream with its adoption as an official formal ethnic costume in the mid 1920’s Republic of China. Later, in an atmosphere of fervent nationalism, it became the symbol of the ‘revolution’ under the socialist system, wherein everyone from officials to intellectuals and even the general public donned the jacket as an expression of the abandonment of individuality and fusion into a unified society. Sui treated this subject as a medium rather than a target of criticism. Utilizing various forms and sizes to simultaneously release the excitement and inhibition associated with this object, the artist used a satirical approach to express the conflict between escape and repression. In 2007, Sui Jianguo’s art entered into a more formalistic phase, using form to enact a release of the concepts and forces inherent to the properties of his materials and mediums, a primal momentum. In Motion and Tension, the power of tremendous mass to intimidate magnifies the forces of form, material, medium and motion. This artwork changes its form every time it is exhibited, which is an embodiment of the artist’s focus on development and an extension of the temporal aspect of the artwork’s creation. 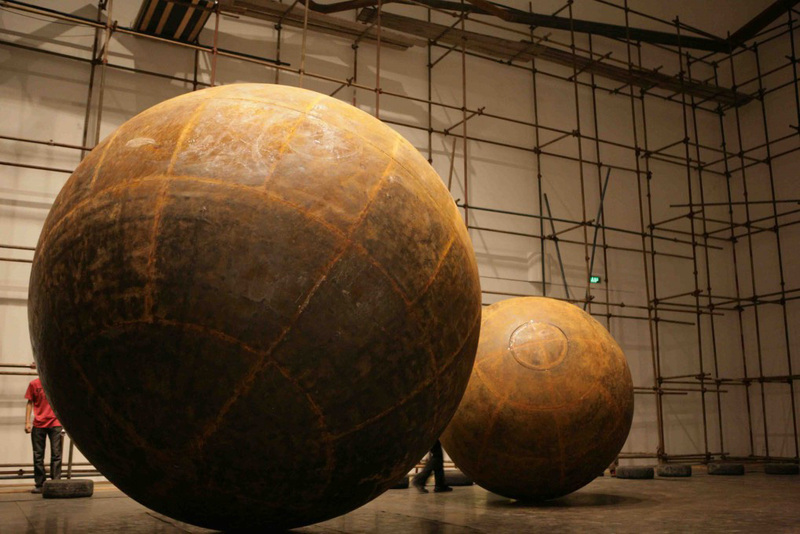 This solo exhibition will also reveal a new series from Sui Jianguo. Through intimate contact with materials, the artist expresses the infinite vitality of “formal” creation. Through constant experimentation, the artist has explored the complex emotional relationships between man and material, pushing Chinese contemporary sculpture into a more abstract and formalistic phase. 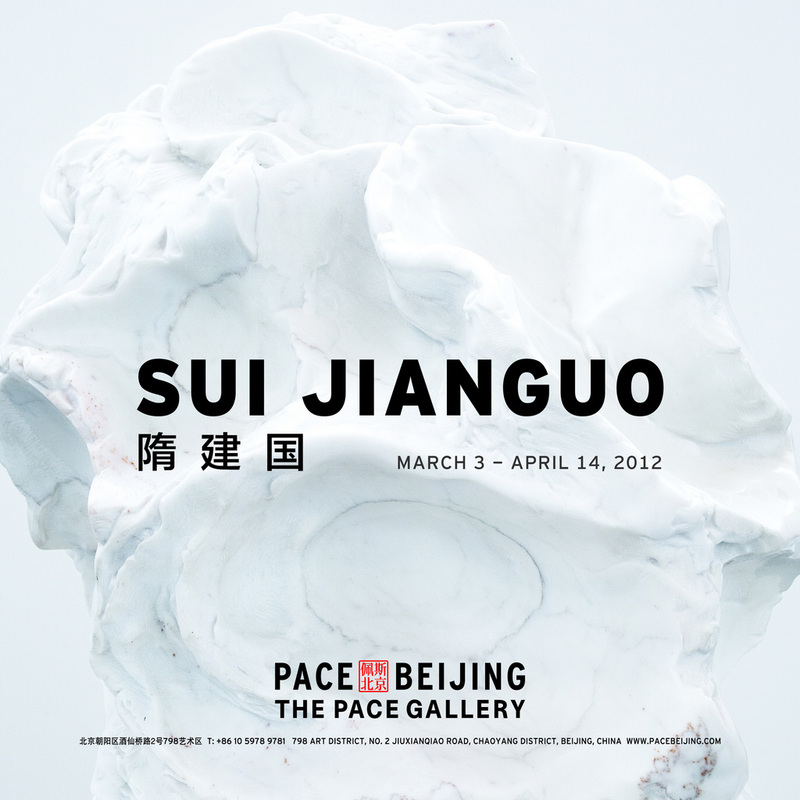 Courtesy of Sui Jianguo and Pace Beijing, for further information please visit www.pacebeijing.com.